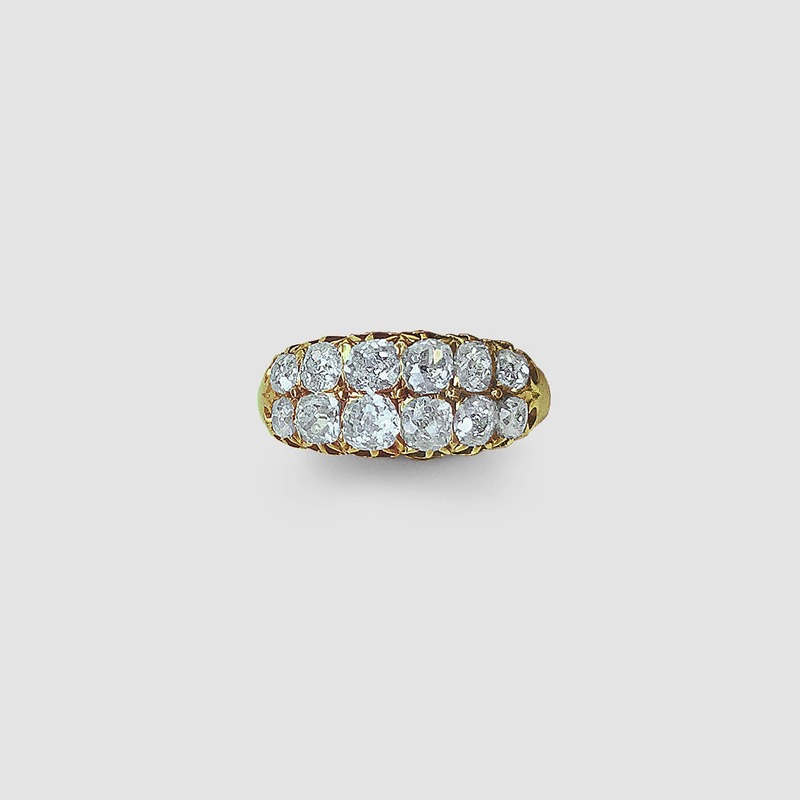 This charming late victorian beauty circa 1880 could be worn as a wedding band or an everyday diamond band ring as it sits low to the finger and is extremely comfortable to wear. The ideal ring for stacking. It is in perfect condition and has had no alterations or repairs that we can see... all original. 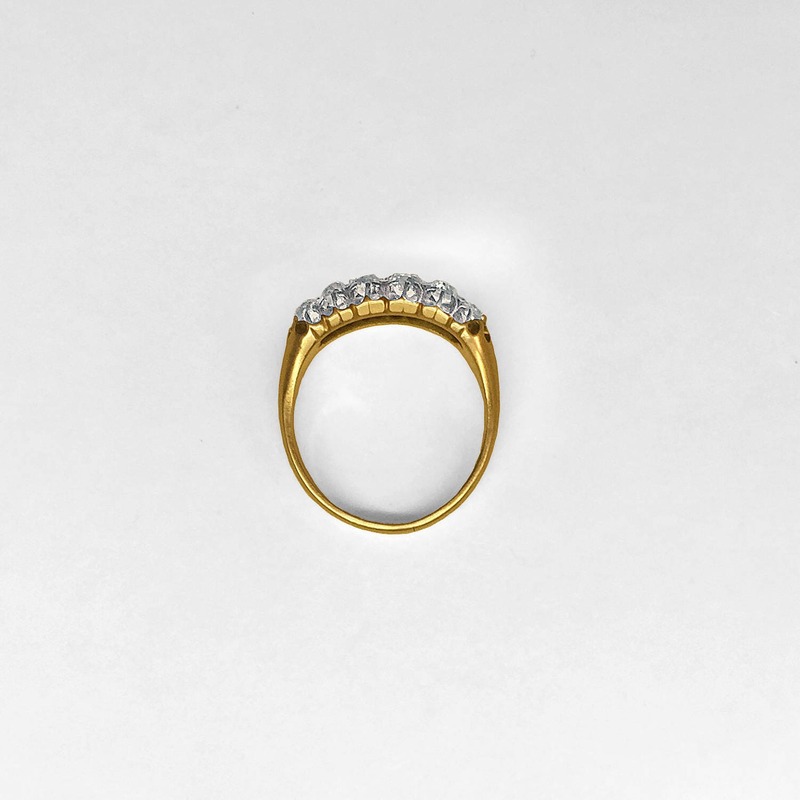 The 12 old mine cut diamonds of top white color and very slight inclusion taper in size from approximately 21/100 at the center of the ring to approximately 7/100 carats at the shoulders of the ring. The total approximate weight of all 12 diamonds is 175/100 carats. 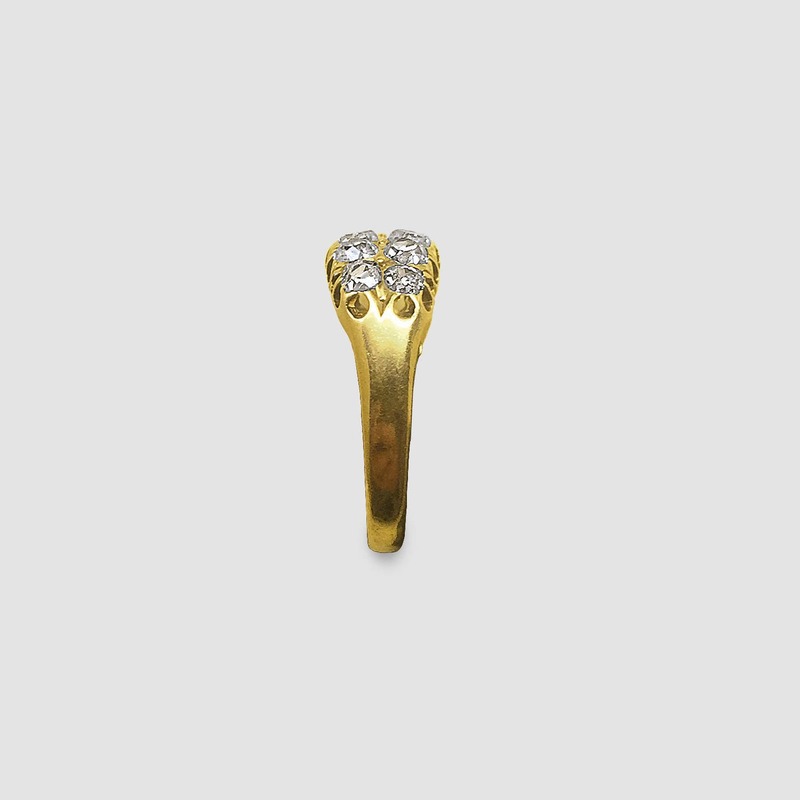 The ring is currently a size 7 1/4 but could be sized easily to fit your finger.